This MP3 file is from the album Electric cello / David Pereira, cello. Duration: 10 mins, 22 sec. Recorded/performed at: Tapitallee West Studio, Kangaroo Valley, on 2005. 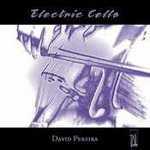 CD: Electric cello / David Pereira, cello.